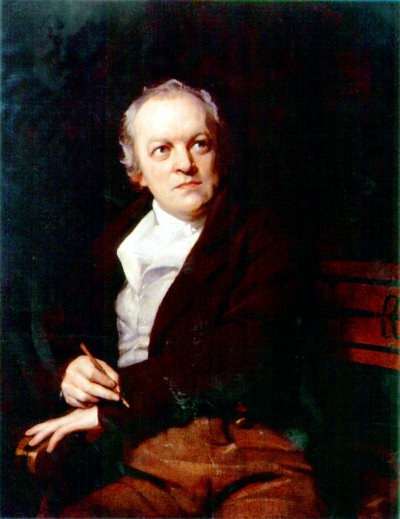 William Blake (28 November 1757 – 12 August 1827) was an English poet, painter and printmaker. Largely unrecognised during his lifetime, Blake is now considered a seminal figure in the history of the poetry and visual arts of the Romantic Age. His prophetic poetry has been said to form "what is in proportion to its merits the least read body of poetry in the English language". His visual artistry led one contemporary art critic to proclaim him "far and away the greatest artist Britain has ever produced". In 2002, Blake was placed at number 38 in the BBC's poll of the 100 Greatest Britons. Although he lived in London his entire life (except for three years spent in Felpham), he produced a diverse and symbolically rich corpus, which embraced the imagination as "the body of God" or "human existence itself". The poem suggests that acting on anger reduces the need for vengeance, which may be connected to the British view of anger held following the start of the French Revolution. The revolutionary forces were commonly connected to the expression of anger with opposing sides arguing that the anger was either a motivating rationale or simply blinded an individual to reason. Blake, like Coleridge, believed that anger needed to be expressed, but both were wary of the type of emotion that, rather than guide, was able to seize control.